In busy times it is hard to keep up with both making and presenting/explaining one’s art! 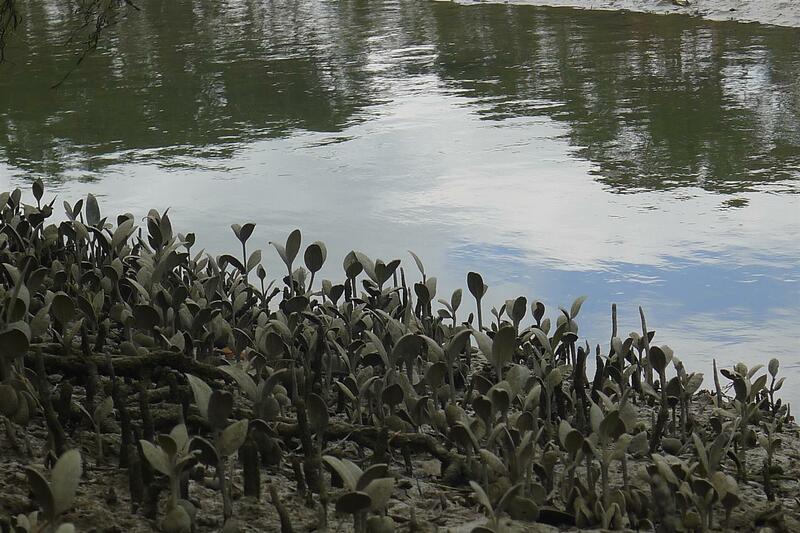 The mangroves made their way along the motorway, on a trailer, to the Te Atatu Peninsula and then down over the tussocky grass to a mown clearing where they posed in a silent dance near their smaller real-life cousins. Their stay there ended, they now greet me from our neighbour’s front garden every time I leave the house, surprisingly camouflaged under two tall trees. 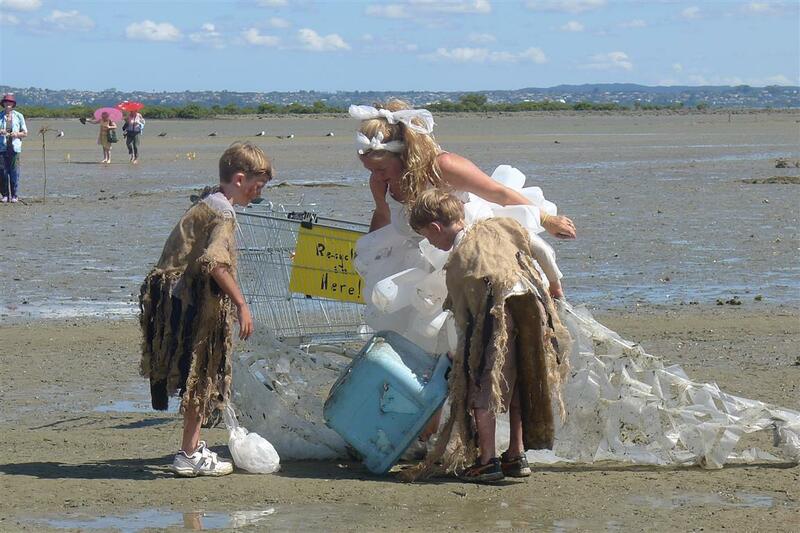 Then we had Between Tides – a huge event in that it was billed as (Probably the Final) Between Tides. This annual community art event has become increasingly popular, and drawn a wide range of exhibitors including a number of performers. Perhaps in fact, we hope, there may be some among them who choose to carry on with BT, but for the Jersey group it is time to step back now. 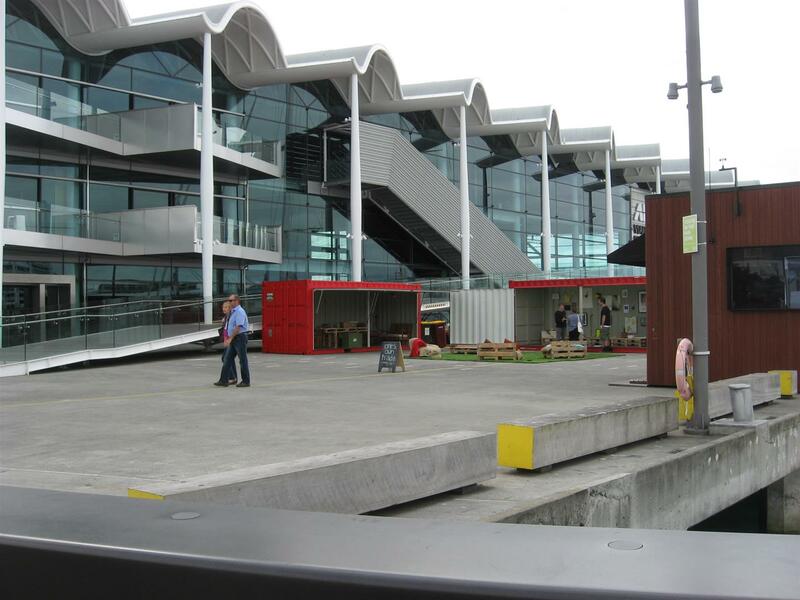 We are no longer all in Auckland or all available. It has been a wonderful event to stimulate more experimental ideas since they only had to be on the beach for about five hours, as well as resolved works having their moment in the sun (wind and rain). The day – for the first time in fourteen years – was really wet! We had had some anxiety about maybe having to pack up earlier than 2pm because of the time and height of the tide, but in fact steady rain set in just before 1 so by 1.30 everyone had de-camped. Hardy visitors and artists had up to that point managed with umbrellas the occasional heavy shower and ongoing drizzle, but the rain became a real soaker. It was in a way an exhilarating, if abrupt ending. 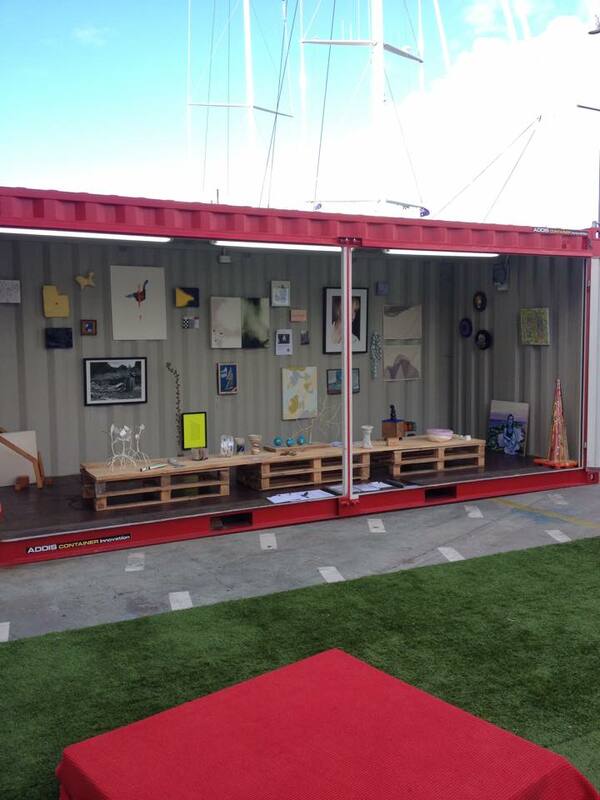 My main work, ‘The catch with plastic’, is on the left. A theme others also had in mind (see Vonney Ball’s amazing wire fish caught on three rods). In a flurry of enthusiasm I decided, after years of some visitors querulously appealing for some guide as to whose work they might be looking at (we have a policy of no labels, mostly to encourage interaction with the artists who are generally around!) to make a map. And four of my last year’s swimmers (who were hanging from the pohutakawa, as they had the year before hung over a plaza at Victoria Park Market) had obviously been for a dip and found it very chilly as they sat looking blue and wet on the rocks. (Paper mache over a wire armature is quite possible to re-pose – just needed a bit of patching, which turned into their blue skins). Many thanks to all those who contributed in many ways to Between Tides and in particular to those who provided the images – a selection of which are below. The mangroves which I first made a year ago were the seed from which have grown a pair of giant mangroves, two metres high on their arching legs, for the Harbourview Sculpture Trail which will open on March 5th. This project has been an adventure in new material and skills. Many thanks to Jeff Thomson, sculptor extraordinaire in metal, for his help in assembling the steel frames of these creatures. At home I built up a layered surface – first wire netting, to give the skeleton some “body”, and then a skin of plastics melted together. Stitching, ironing and the hot air gun were all applied to a range of plastics. Some melted almost way, shrinking in the heat, and others intensified in colour and stayed bright and whole. Plastics fill our landfills and drift along the shoreline catching in mangroves and other intertidal plants. We need to address the issue of plastic waste – recycle what can be recycled (and there is a lot more that can be recycled now including soft plastics) and use other plastics sensibly! I am grateful to Vaughan at Polyprint Packaging who took the time to show me the process of making polythene bags, and told me about some of the recycling alternatives, as well as giving me a range of colourful off-cuts and samples which were most useful. A site specific practice constantly brings new forms to explore. 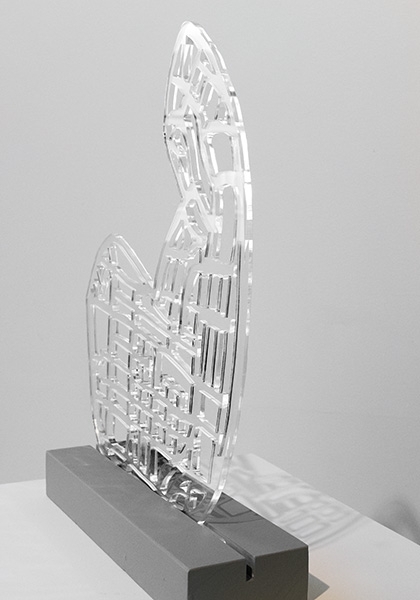 Earlier this year I was invited to participate in ‘one’s own trade’, a group exhibition and silent auction based on exchanging goods or services for artworks. 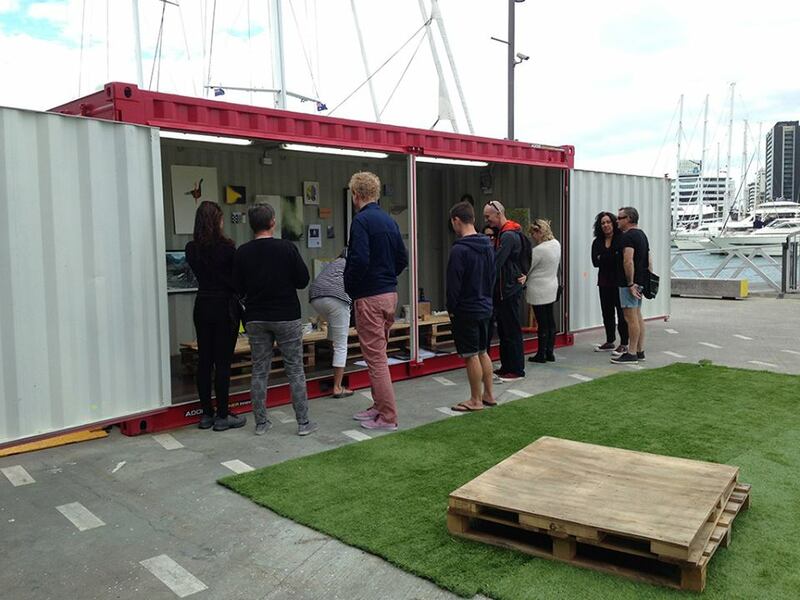 Organised by Hannah Davis-Gray and Harriet Stockman, this took place in containers provided by Waterfront Auckland which were situated in an area where, historically, the loading and unloading of freight and passengers had taken place. I think there is an inherent tension in marginal places and borders and am interested in the adaptations of life and life-forms that exist in/on the periphery of distinct or incompatible zones. 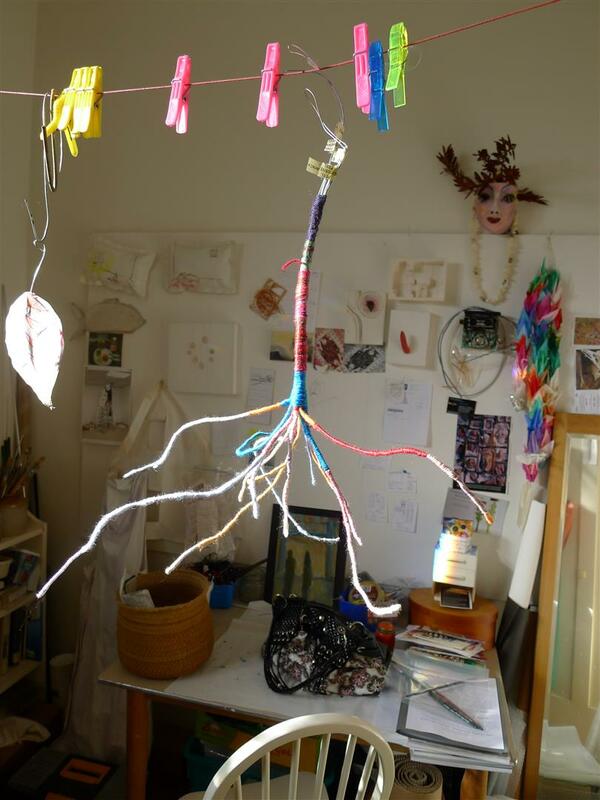 Earlier experiments with root systems extending my yarn branches had generated ideas of trees that walked because of the springiness of the wire roots. 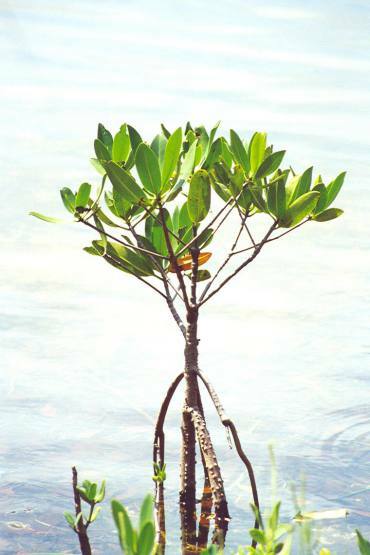 The waterfront location started me thinking about the plants which exist in the intertidal zone and quickly led to paper mache versions of mangrove saplings which (not in New Zealand but in tropical areas) can stand proud of the mud and water on long roots. 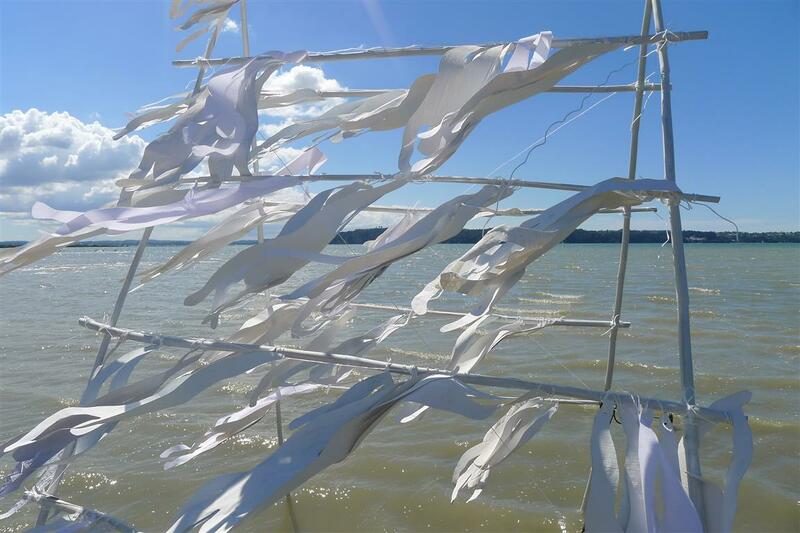 Between Tides 2015 – another stunningly beautiful day with brilliant blue sky and a soft breeze. ‘Hung out to dry’ stood up although it had a very fragile makeshift look to it, and the people-shapes fluttered like prayer flags. 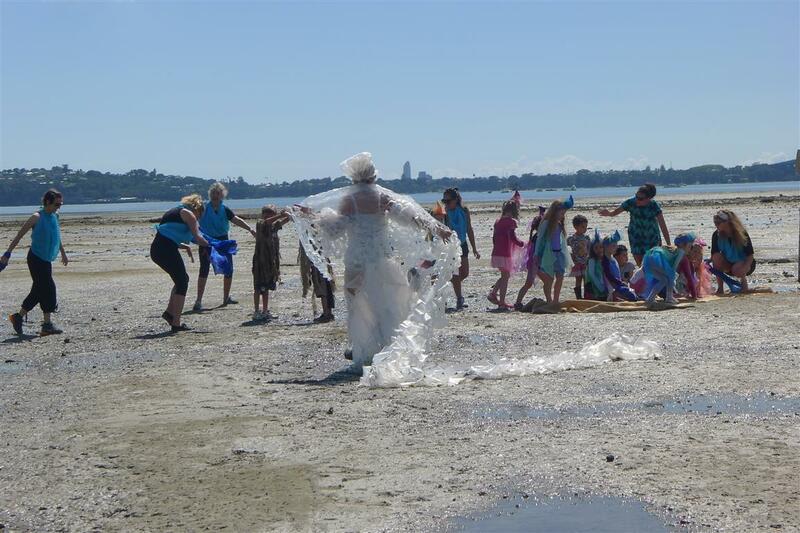 A dance performance by the Overflow group and the TAPAC Creative Contemporary children’s dance group dramatically illustrated the lethal effect of plastic on the marine environment and brought a whole additional audience to the beach.